Dhaba is your venue destination for all your special occasions: weddings, engagements, anniversary, birthdays, graduation, baby shower, etc. 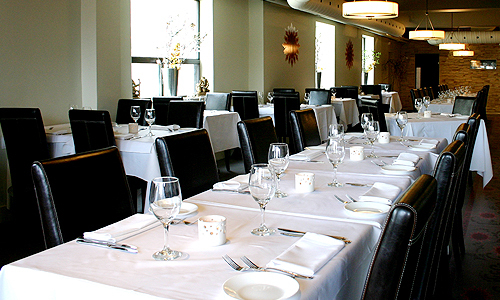 At Dhaba Indian Excellence, they customize your menus according to your preferences while working within your budget. Wines of your choice are also available with your meal. At Dhaba, they specialize in creating menus and will do their best to try to accommodate any special allergies for those with allergies to wheat, gluten and they can also arrange for kosher meals. For your group function, there is also space to set up your audio-visual equipment and set-up is also available. Make your next group function unforgettable as you overlook King Street in the heart of the theatre district. Book your reservation today. Some satisfied corporations we've held meetings and parties for are below. Make sure to book yours now. Toronto International Film Festival and many more from Fortune 100 & fortune 500 Companies.